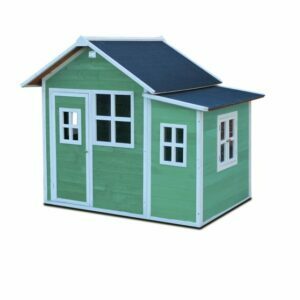 Children will not have a dull moment in the EXIT Loft 150 wooden playhouse produced in a green colour. 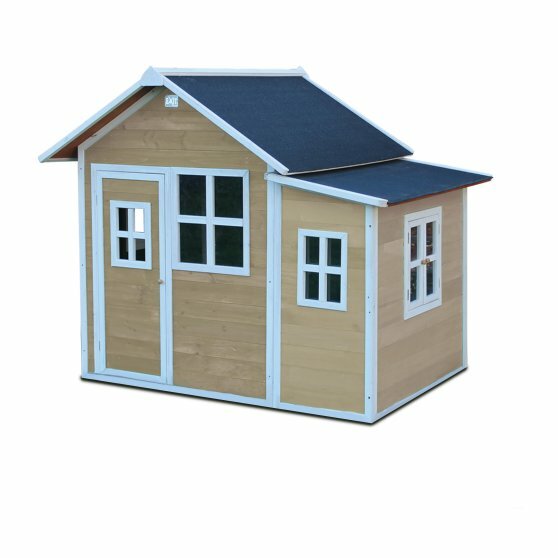 This wooden playhouse stands on the ground, takes little space and is therefore suitable for any garden. 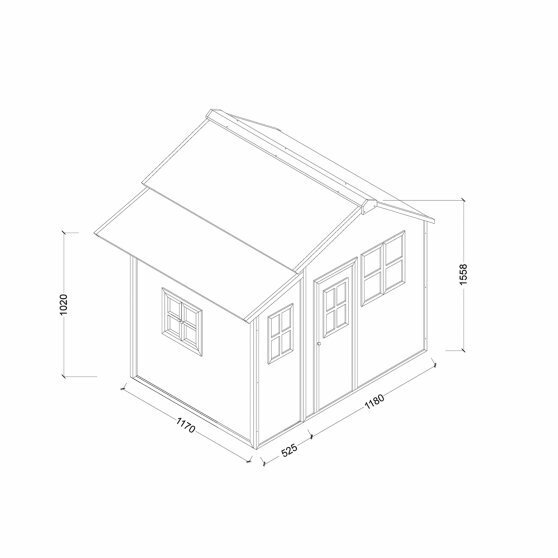 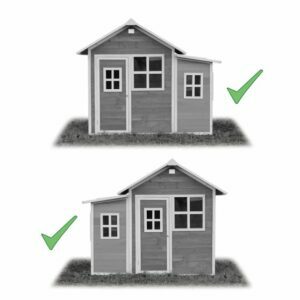 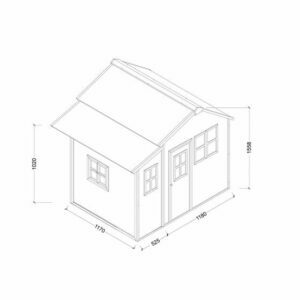 The playhouse is easy to assemble due to its prefabricated parts. Typical for the EXIT Loft 150 wooden playhouse is the sleek Scandinavian design with beatiful white window frames. 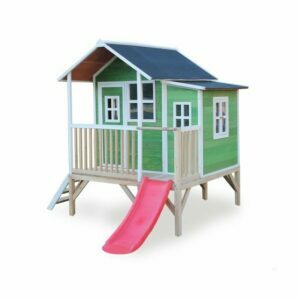 This EXIT Toys playhouse is definitely a product to have in your garden! 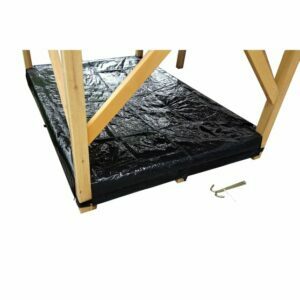 Just like with all the playhouses, there are various accessories available for the EXIT Loft 150 wooden playhouse, such as a nice picnic set with stools or a lovely decoration kit for making drawings. 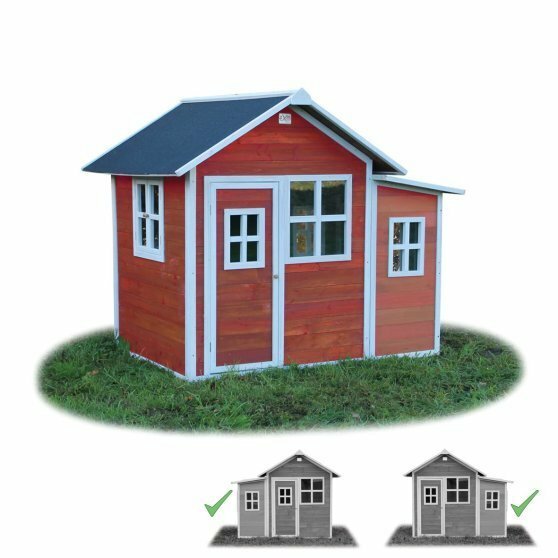 Design your play corner just the way you want and have the greatest adventuresoutdoors!